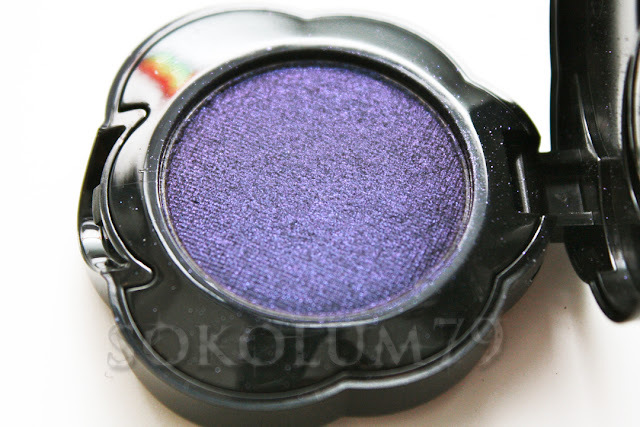 I was at Sephora the other day and I was looking at the Too Faced display, partially to find a new blush. 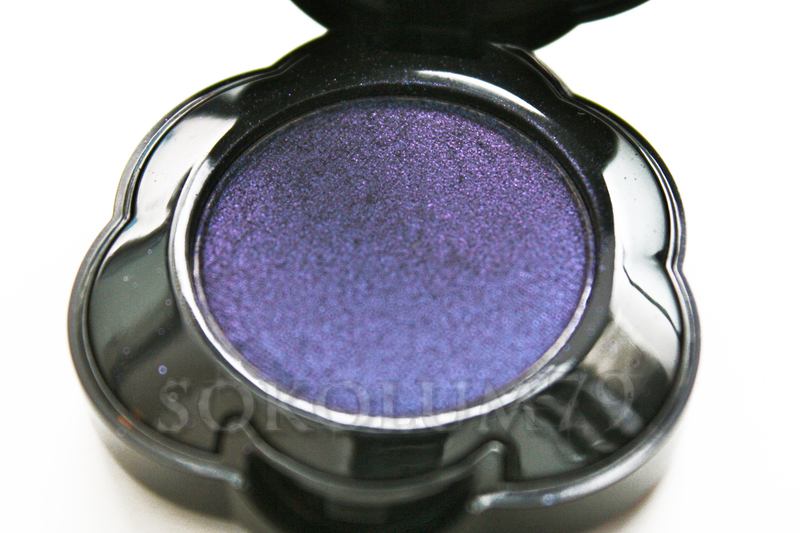 I came across their Exotic Color Intense Eye Shadow Singles, which were nothing short of amazing. I swatched half of them and they were creamy, opaque and unique. 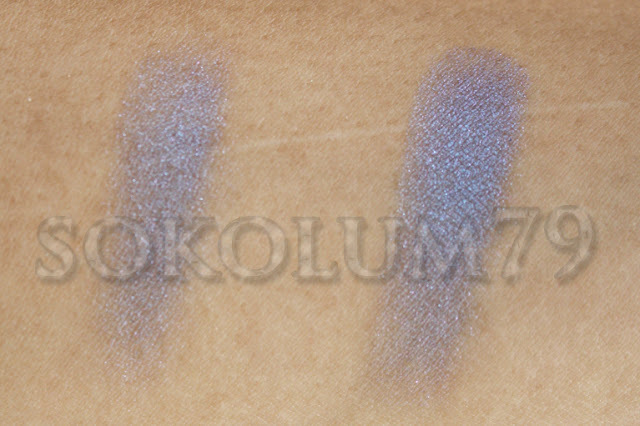 Several of the shadows were duochrome. 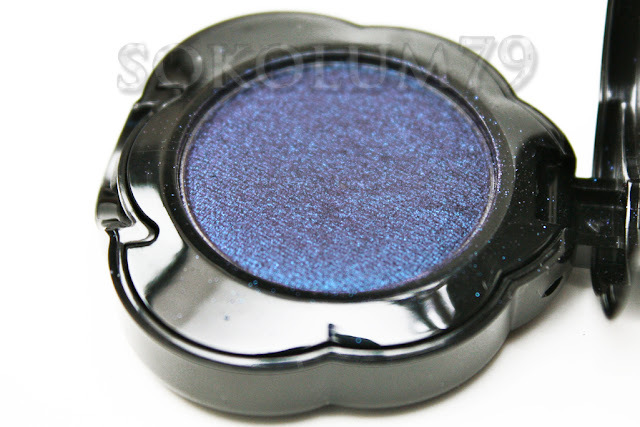 I fell in love with Midnight Mist, which is a shimmery dark blue with a purple iridescence. Needless to say, I couldn't wait to take it home and to try it out the next day. Boy, was I disappointed. They must have changed the formula since the testers were put on display. 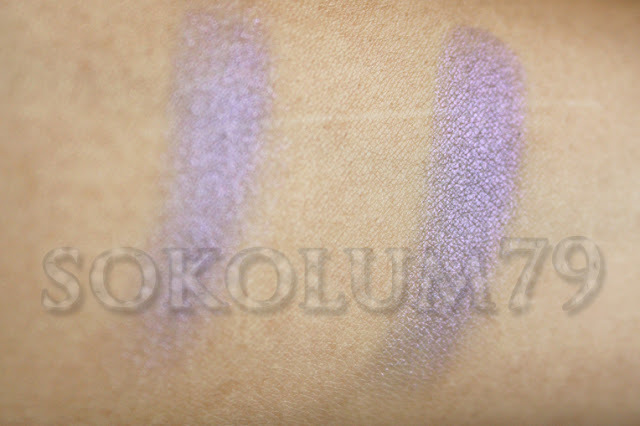 It was much more sheer then at the store and when I tried to blend, it became patchy. It's still a beautiful colour, but the formula leaves much to be desired. The swatches are no primer on the left, primer on the right and two finger swipes each.